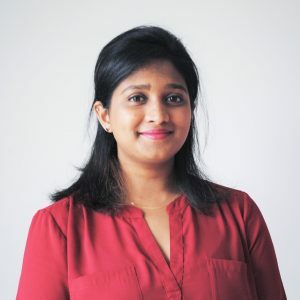 Sanjana Jayakumar joined Synergy Global’s Graduate Finishing Program in 2019, as an Effectiveness Intern - ICT. She is an international student from Bangalore, India, currently pursuing her Master’s in Information Systems Professional Computing at Swinburne University in Australia. Sanjana graduated from K.S Institute of Technological with a Bachelor’s degree in Computer Science. Then, she moved to Australia as her academics helped her in opting the suitable course for Master’s which eventually grasped her attention & interest towards Information Systems & Business Analysis. She believes in “You have to believe in yourself, challenge yourself, & push yourself until the very end; that's the only way you'll succeed”. Sanjana brings with her creative skills, time management skills, hard working skills, high-level customer service skills, leadership skills & communication skills from the work experience gained at IBM. She is successful in maintaining work/personal life balance. During her Bachelor’s study, she had organised workshops, presentation & personality development sessions. While pursuing her Masters, Sanjana worked at Swinburne University of Technology for a graduate role on a casual basis where she managed & performed ETL (Extract, Transform & Load) operations on the database that had more than 1 million scientific publications, journals & articles published. Sanjana’s shown interest in Digital Business Analysing, Marketing & understanding the application of Business Analysis in Information Systems (IS) issues. She has also undertaken a couple of Enterprise Systems units that give her an understanding of the integration of business functions of IS/ IT. She has fluency in Office 365, MS Office, Weka, Basics of C, C++, HTML, MySQL, NLTK (Natural Language Tool Kit) & Python Languages, gained during her studies. She was engaged in Basketball all the way from childhood until her early 20's which helped her be physically & mentally fit. She was also engaged in delivering paper presentations & being an emcee at various ceremonies. This involvement helped her to be confident behind the screen & on the stage. She is fluent in her English, Kannada & Hindi (Native language) & at Intermediate Level in the German language. Sanjana currently lives in Mount Waverley, a homely suburb in South of the of Melbourne, VIC. Her hobbies are Photography & Leaf Collecting (Foliage).